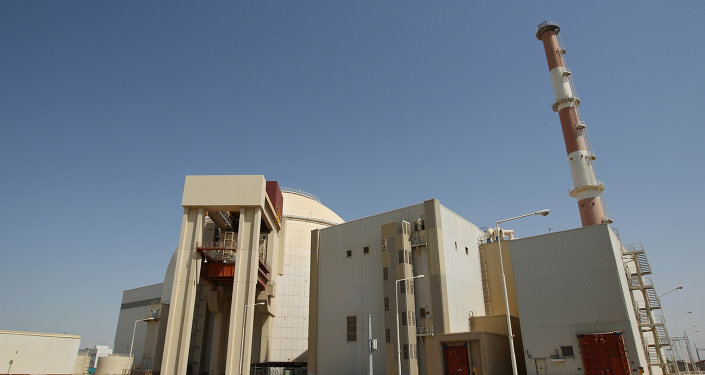 Modern technologies ensuring the highest level of security will be used during the construction of the Bushehr 2 nuclear power plant in Iran, Sergei Kirienko, the director general of Russia's state nuclear energy corporation Rosatom that is participating in the project, said on Saturday. BUSHEHR (Sputnik) – Earlier on Saturday, the first stone of the second nuclear reactor of Iran’s Bushehr nuclear power plant was laid, marking the start of the launch of the Iran-Russia Bushehr 2 project. Kirienko said that during Bushehr 2 construction unique technological solutions will be used. “That is primarily so-called passive security systems. They do not require interference of staff and will work irrespective of human activities,” Kirienko said. He noted that three such systems would be used in the Bushehr power station. “The first one is a double containment. The interior containment protects from all extreme events in reactor and the exterior containment – from any external input, natural ones such as hurricane, earthquake as well as manmade ones… The second one is an afterheat removal passive system. That system guarantees that there will be no consequences such as those at Fukushima. Even in case of lacking cooling water supply, heat will be removed naturally with the help of heat exchange,’ Kirienko said. He said that the third system is a unique Russian know-how – a core catcher of a molten meterial aimed at curbing consequences of a possible nuclear meltdown. The know-how must prevent a meltdown and release of nuclear materials. Kirienko added that the Indian Kudankulam nuclear power station would be a reference project for the Bushehr 2 NPP.